Transfer Money - We Deliver Love! Send Money to the Philippines, Send Cargo to the Philippines, Cheap Flights & Travel Packages. Forex World remittance stops temporarily as account changes and system is updated. Forex has been at the forefront of Money Remittance since the early 1980's. 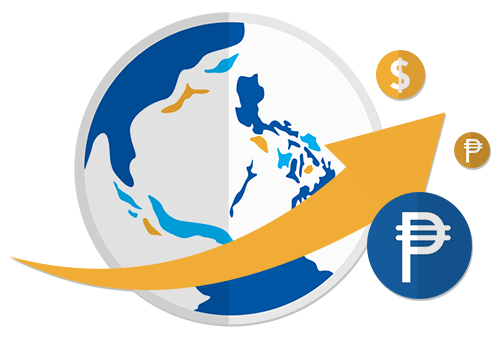 Forex was the first non bank entity which was approved and recognized by the Central bank of the Philippines and has been committed to offering the best service available in the market. 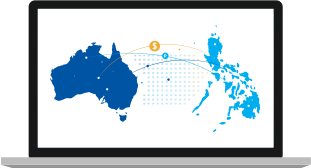 Forex has the widest range of remittance products and has formed alliances with the largest Philippine banks and remittance delivery channels providing our customers with security, speed and convenience. These benefits are very important to all of us, especially to your beneficiaries. Filipinos across the Globe cannot be wrong. Be part of the Forex Family and enjoy all the benefits and more importantly the peace of mind. Next time you want to send money to your loved-ones - don't risk it, Forex it! Note: If you have not sent money through Forex previously, please view our requirements here. Deposit directly to any nominated bank account in the Philippines. Deposit to any of our partner banks and get your funds credited within as fast as 3 hours! Click here for list of partner banks. Deposits into non-partner banks and get your funds credited in 24 hours. This Cash Card is just like your regular ATM card. Open a Cash Card account and make deposits here and reload as many times as you like. Click here for Cash Card reload fees. They withdraw their money from any ATM machine nationwide. Your loved-ones can also make over the counter purchases whatever there is an Eftops terminal. The traditional way of sending. We hand deliver the cash to your beneficiary, anywhere in the Philippines. Order a Jollibee or Max Chicken meal for that special occasion, delivered to your nominated address in the Philippines. Pay your bills and utilities directly through Forex. Just a comment on your service. I really like this whole process of yours. So efficient and less time consuming compared to a company who I was using for at least a good 2 years. From now on, I will only be sending money through your establishment and I will recommend this to all my friends here in Canberra. Good job! We want to thank you for being so precise and so fast in your service. We have been very impressed with your faultless and delivery and reception of our goods. We will be happy to contact you in the future for any remittance so as to again be pleasantly surprised by the superior performance of FOREX. I just want to say thank you for your excellent customer service. Those urgent money transfer I requested to be processed was received on the same day….thanks.